Are you dealing with nasty and stained upholstery? Come and get them cleaned and fresh at Squeaky Clean Couch. We will provide you with services like Leather Couch Cleaning, Lounge Cleaning Location, Natural fibre Couch Cleaning, lounge cleaning, Leather Upholstery Cleaning and several more. We have years of experience in cleaning all kinds of upholsteries. And you will get our services at a cost which you can easily afford. We have been using eco-friendly cleaning solutions and excellent cleaning techniques. 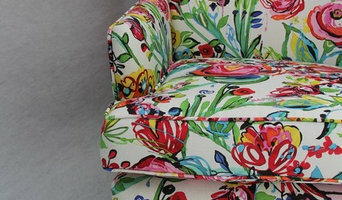 We give your upholstery an exclusively new and fresh look. So you don't have to wait anymore just call us right now on +61 414 354 432 or you can reach us online as well for same day booking services. McConnell’s Furnishings and Upholstery has been operating in Adelaide since 1995. With 36 years of upholstery knowledge and experience, you are guaranteed to make the right choice for your home, work space or commercial fit outs with McConnell’s Furnishings and Upholstery. Adelaide Upholstery and Sewing Manufacture new fine upholstery to order and also gives new life to your vintage objects, family heirlooms, and your business. They can also offer you a newly designed and handmade piece of furniture for your home. With 32 years experience this family owned and operated business offers first class service within a prompt timeframe. The quality workmanship has propelled the business to now manufacturing custom-made designs. With a fifteen year structural guaranty and unbeatable service guarantee, AUS cut out the middle-man, with real advice, and a friendly face to guide you every step of the way. From an initial quotation of the furniture, staff will then help you decide on the best course of action to take, fabric choice and design. Not only will this quality service continue throughout the design and building process but for as long as you own you AUS furniture, We will continue to service and upgrade it as necessary (fees may apply). Located in the southern industrial suburb of Lonsdale the AUS workshop and showroom is a 30 minute drive from the city, but well worth the trip. 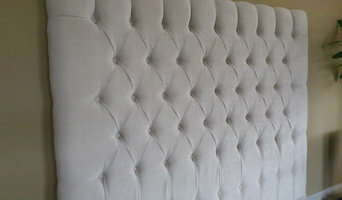 Adelaide Upholstery and Sewing is your only choice for friendly, reliable, quality service at realistic prices. It is easy to throw away a piece of furniture or chair which is broken or needs repairing, but before you do, you should consider this: why not repair it? All furniture has been designed to be used, which means at some point in time, damage or wear and tear occurs. It’s natural and inevitable. Even the most expensive antique pieces of furniture and chairs may have seen a repair or two in their day and a repair does not necessarily devalue the piece. So when do you know when it is worth repairing or reupholstering? Most older pieces of furniture are extremely well made and hand-crafted. A renowned furniture maker may have used exotic timbers such as mahogany, Australian cedar and Huon pine, which are no longer readily available. A skilled furniture restorer can repair the furniture or chair using techniques which keeps the furniture original. 40 years experience Quality materials and detailed work. FREE collection & delivery service A skilled furniture repairer will advise you whether or not your furniture can and should be restored. There may be the odd occasion where an item has such historical value that it is better to preserve the furniture the way it is. Yes, it may take time, so don’t expect your piece to be repaired overnight and it may cost you a little more than a new piece of Ikea furniture, but just think, by repairing and reupholstering well-made chairs and furniture, you also have done your little bit to help the environment. You have recycled, reused and reloved your furniture, and possibly even created your own style with your upholstery choice. Get in touch with Scoot Mathie Upholstery today to find out how we can transform your old furniture; call us on (08)8271 7358. We provide most affordable upholstery cleaning services by utilizing our 100% friendly upholstery cleaning techniques. At Upholstery cleaning services, our upholstery cleaning experts are efficiently skilled and licensed technicians, with a good know how of a dedicated upholstery cleaning. Our skilled upholstery cleaners will carefully inspect the fabric and manufacture of each upholstery item and then choosing the most appropriate method for your possessions. For that motive, we guarantee that your furnishing gets the special care that it requires. We will develop our advanced upholstery cleaning equipment so that your upholstery will be water less, clean and fresh within one or two hours from achievement of the upholstery cleaning procedure. 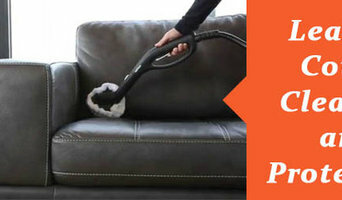 Upholstery Cleaning Adelaide Company used proven techniques and holds the seal of approval by Upholstery Cleaners. Upholstery Design Solutions is one of the leading custom furniture and re upholstering companies in Adelaide and the surrounding suburbs. We can bring old,out dated furniture back to life with our services and even build custom furniture to any design or style that you may want. Essentially, upholsterers work with fabric to cover seating, bedsprings, cornice boards, pillows and other furnishings and interior elements. They also might attach or replace padding and batting, trim a piece with fringe or another border, add piping and tufting, fashion slipcovers and refinish wood. Some upholsterers are skilled at furniture construction and repair. They can also advise you about the pros and cons of different fabrics so you can choose the best type for the project in your Adelaide home. Find an upholsterer on Houzz. Narrow your search in the Professionals section of the website to Adelaide, South Australia upholstery. You can also look through South Australia photos for projects similar to yours, and contact the designer for upholstery information.